NOSM’s Advancement Office supports the strategic direction of the School. Specifically, this means: developing and fostering internal and external partnerships, instilling philanthropic values, and increasing the financial resources available to the School for research and special projects. These goals are achieved through coordinated efforts in communications, partnership development, community engagement, research, service to NOSM alumni, strengthened relationships with NOSM’s host universities and continued fundraising. The Advancement Office has an ongoing commitment to building financial resources available to NOSM medical students via NOSM’s bursary fund. Gail is the Advancement Manager for the Northern Ontario School of Medicine (NOSM). The Advancement unit has the responsibility for Fundraising, Alumni and Community Relations. Gail obtained her Canadian Fundraising Executive certification (CFRE) in December 2013. Gail is one of only three fundraising professionals in Thunder Bay with this professional designation. This year she celebrates her 11th anniversary with NOSM. Gail is an alumni of Lakehead University. A very active community member she is a Past President of the Lakehead Rotary Club in Thunder Bay and currently serving on the District Grants Committee, a Paul Harris Fellow, Past President of Leadership Thunder Bay, Chair of the Legacy Giving Thunder Bay Partnership, Chair of the Breast Cancer Support Group, and a member of the Dragons of Hope Dragon Boat team. This summer Gail will be participating in the International Dragon Boat Festival in Florence Italy. 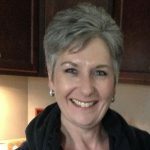 Gail offers her experience and knowledge of event planning and fundraising to many community organizations including ALS and the Regional Food Distribution Centre. 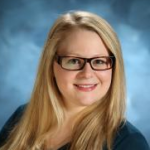 Katie is the Advancement Coordinator for the Northern Ontario School of Medicine (NOSM). Working closely with the Manager of Advancement and Advancement Officer to coordinate and facilitate the growth of financial support, the development and implementation of cultivation and stewardship activities for NOSM. This will be Katie’s 10th year at NOSM and 9th in the Advancement Office. 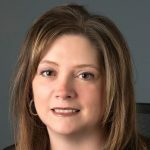 Julie joined the Advancement team at NOSM in February 2018 as the Advancement Officer. Prior to joining the School of Medicine team, Julie occupied several roles in the Development Office at Laurentian University. Her primary responsibilities as Advancement Officer include alumni relations, annual giving, planned and major gifts. Julie holds a bachelor’s degree in English Literature and littérature française from Laurentian University and is a proud Franco-Ontarien. Julie is passionate about music and Northern Ontario and is the Secretary of the Northern Lights Festival Boreal Board.